Venerable comics store finds new location for post-Honest Ed's life and will continue to look for additional space. Photo courtesy of The Beguiling’s Facebook page. Longtime Mirvish Village institution The Beguiling will close its Markham Street digs on January 28. The venerable comic book store has been at its current location since 1992, after it moved from its original Harbord Street location where it was founded in 1987. The store, which specializes in independent comics as well as original art, will relocate to College and Spadina at 319 College Street, just north of Kensington Market. The College Street location might have a casual opening sometime in December, but will be open for regular business on January 3. The move was necessitated by the Honest Ed’s development, which will shut down Mirvish Village, the strip of independent shops along Markham Street. Neighbourhood mainstays like Suspect Video and Beit Zatoun have announced their closures, and they do not intend to move to new locations. The Beguiling isn’t the only comic book store affected by the Honest Ed’s development. Its children’s comics store, Little Island Comics, located on Bathurst Street, will close. In a Facebook post announcing the changes, The Beguiling says that much of Little Island’s selections will be available at Page and Panel, its store located in the Reference Library. In a phone call with Torontoist, store owner Peter Birkemoe says that the Little Island brand will live on in some form in the future, but that there are no current plans for it to have a physical location. The 319 College Street location will have about 20 per cent less square footage than the existing store, but Birkemoe says the store layout will be better, which will make for easier browsing. The store will be on one floor, and it will mark the first time The Beguiling is fully accessible. While opening up the new location is a start, there could be more Beguiling-related news in the future. Birkemoe says the new location provides about “half of all the things we need,” and that they will continue to look for additional space, particularly a site that can accommodate events and signings. In the meantime, Birkemoe says that The Beguiling will partner with local Kensington bars and the Toronto Public Library’s Merril Collection for event space. The Beguiling’s place in the local comics scene is significant. It holds a large number of signings and talks with cartoonists, and has run the independent Toronto Comic Arts Festival (TCAF) since 2003, one of the most respected and emulated festivals of its kind. 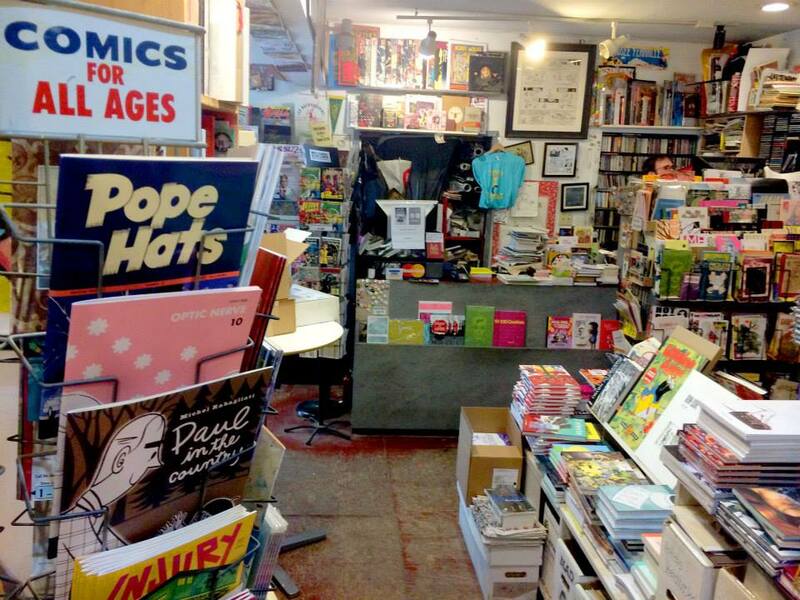 It’s one of a handful of must-visit comics stores in North America and has provided early support to the careers of many cartoonists, including the likes of Chester Brown, Seth, Bryan Lee O’Malley, Michael DeForge, and more. Location of the new Beguiling store.